Electronic Security Products - Should We? or Shant We? The advent of wireless systems actually negates the fail-safe mentality until the battery runs out.....but even still many products have an in-built lithium polymer long life battery, to provide just enough power until the main source batteries can be recharged or replaced. This is expressly why the locksmith industry will continue to exist, much to the negatives of some. One of the best advances today is the advent of Bio-metric systems. Finger print identification systems can negate the need for a key or the need to remember a combination (you cannot lend your finger to someone else - can you?). Chamberlain, well known as one of the leading garage door operating systems manufacturers ahve recently released this wonderful new product competing with the Master version we published previously. 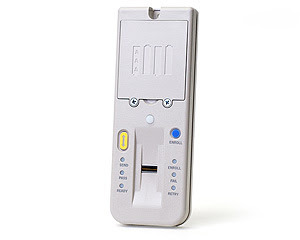 This Biometric Fingerprint activated wireless entry device is designed to work with most existing Chamberlain Automatic Openers. Chamberlain's 942FP Fingerprint Keyless Entry makes home access even more effortless - no codes, no lost keys, ad nothing extra to carry. It uses fingerprint sensor technology to make access to your garage quick, safe, and secure. 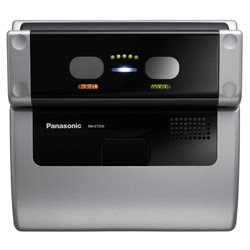 Panasonic recently released this new product designed at the access control market. The BM-ET200 offers more accurate, faster, non-contact entry/exit control utilizing biometric technology for iris recognition. The system can be used to check IDs in a variety of applications, including airports and entry/exit control for many types of industries. Simple and easy to configure, the BM-ET200 has recognition results in 0.3 seconds. What Does It Cost To Get Locks Changed? I'm a Bilock dealer, I make no secret about that. But I also feel it important to inform my clients about potential vulnerabilities in security products. Previously, I have touted Bilock as the only bump proof and virtually pick proof pin tumbler product available. Now it is time for me to eat my words. A young fellow in Australia has recently proved it can be accomplished. Importantly, it should be noted that prior knowledge of this particular cylinder, it's pinning depths and configurations is essential to successful picking of the lock cylinder. Having seen this, one must remember that anything is fallable and with prior knowledge, opening even the most difficult lock cylinder can be achieved with practise. In the real world, the likelihood of being successful at this covert entry technique is very small....but as this video proves it can be done! This wireless set comes with both a transmitter that you can attach to your luggage or purse as well as a wireless receiver. If the wireless receiver and transmitter get more than 5 meters away, the receiver will automatically being to beep to draw your attention, and all you have to do is push the alarm button and the transmitter will emit a loud alarm to tell you where it is or who has it. 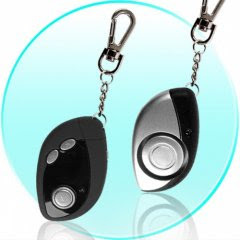 This set also features a useful anti pick pocket function, sending off a loud alarm if someone is unzipping your bag, as well as a vibration function letting you know if someone is tampering with your belongings. A great low priced, multi-functioning travelers accessory. Most safes make it pretty obvious that your valuables are inside, usually due to the combination lock or keypad on the outside. You can hide stuff under your matress or behind various other things that a thief would want to steal, but that’s pretty unorganized. What if you could hide your valuables inside of something that’s so common, that it’s completely out of sight? How about an air vent? To install it, just cut out a section of drywall, and put in the compartment fastening it with screws. It opens with a mechanism that is hidden in the grill and no one will see your stuff thanks to a black divider. It will cost you $259.95, but you have to admit, it’s the best hiding spot. Syracuse, NY (June 3, 2008) –The Good Housekeeping Research Institute has tested and evaluated the BioAxxis® BD1, biometric deadbolt and the Institute has rated it the best compared to the others on the market. A revolutionary new lock from BioAxxis Development Corporation uses your fingerprint instead of a key, forever eliminating the need to fumble in pockets or purses and improving home security and safety. The lock, called the BD1 for Biometric Deadbolt, has been featured on CNBC and received the top honor for design and engineering at the Consumer Electronics Show in 2007. 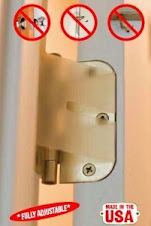 The Good Housekeeping Research Institute just tested a few of these new locks to see if they're worth the money. "Fingerprint-scanning technology is showing up in a lot of consumer products nowadays. You see it on laptops and printers, and more recently on front door openers and garage door openers," said Stacy Genovese, the Good Housekeeping Research Institute's Engineering Director. After careful testing the Good Housekeeping Research Institute concluded the BioAxxis® BD1 the most reliable biometric lock. 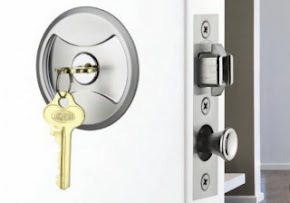 Genovese states, “The BioAxxis lock held up to all our testing and proved to be best door lock we tested.” The institute tested the lock in a variety of ways. Locks210.com is an authorised dealer of Bioaxxis products. 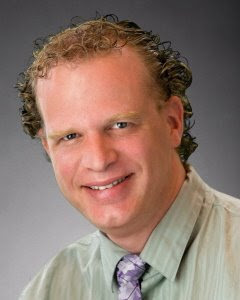 For an obligation free appraisal or demonstration, contact us on (314)266-1533. 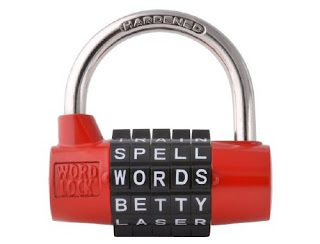 The Wordlock® family of combination locks are the first combination locks that allows consumers to set their combination using words NOT numbers. These products are the next generation in personal security. Words are easy to remember, numbers are easy to forget and Wordlock® products are unforgettable. All Wordlock® products are designed with the consumer in mind. Each product allows you to reset the combination to a word or a phrase that has meaning to you and is easier to remember. Resetting the combination is so simple you can change it anytime you want and as often as you like. Wordlock® was chosen by the US Patent office and QVC as one of the top new inventions of the year. These award winning products have been shown on Regis and Kelly, Home and Garden TV, ABC news. 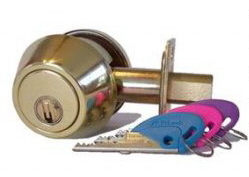 Our family of products currently includes Padlocks(great for lockers, toolboxes, etc.) Bike locks and TSA recognized luggage locks to keep you secure at home and while you travel. Do you have an old numbered combination lock in your house ? Can you even remember the combination ? Its time to replace them all with Wordlock® products. 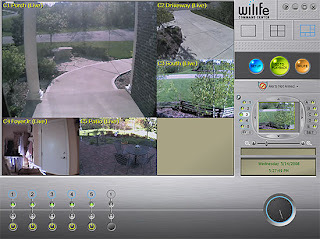 The WiLife system consists of indoor and outdoor cameras as well as a variety of night-vision accessories that easily connect to a PC via USB. The system begins working as soon as it is plugged in, all the cameras installed and installed the newest version of the software, WiLife Command Center 2.5 on a PC. The quality of the recordings is surprisingly good. You can access those cameras for free over the Internet, even via cellphone, and the system can alert you via e-mail if anything moves. Remarkable. Any prowlers wanting to help themselves would have VGA-quality color movies (no sound) of them in the act. 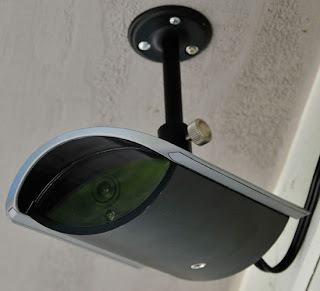 Just the mere presence of such cameras, with their highly visible red and green lights (which can be easily turned off), serves as a strong deterrent. This WiLife system newest software, the Platinum Edition add-on, costs $79.95 per year. It lets you electronically pan and zoom all the cameras and, most importantly, store footage online. That makes tons of sense, because if someone is robbing your house, the computer with all the WiLife footage will probably be one of the first things stolen. The downside? It's not perfect. The system is geared toward recording footage, so live viewing of all the cameras isn't as smooth as it could be. Also, while the cameras all have good low-light performance, they require an optional infrared lighting system and special lens to actually see faces at night. Keep in mind, too, that you’ll need a powerful PC to handle multiple cameras and recordings. Costing is around $1,100 to set up a complete system with five cameras. A starter kit with one camera is $260, and each additional camera is around $215.